(i) Aadhar Housing Finance Limited is a deposit taking housing finance company registered with the NHB and focused on providing affordable housing financing products for the EWS and LIG segment in India, in tier 2 to tier 4 cities and towns, to diverse customer groups with focus on salaried (both formal and informal) and self-employed (business and professional in formal and informal segments) home buyers. As on March 31, 2018, 38.92% of our portfolio falls under EWS segment, 42.92% under LIG segment and 18.16% segment under MIG. Salaried customers comprise 70.49%, 71.52% and 67.70% of our assets under management as at March 31, 2016, March 31, 2017 and March 31, 2018, respectively. 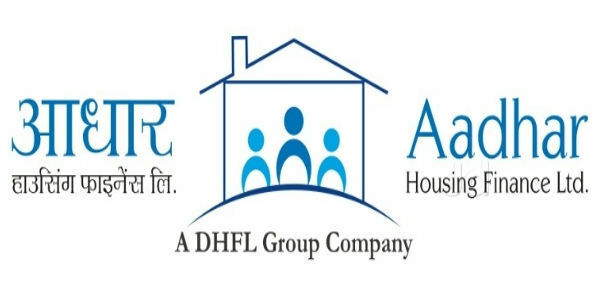 (ii) Aadhar Housing Finance Limited offer Housing Loans i.e. secured finance primarily to salaried and self-employed individuals for the purchase of plots, construction, improvement and extension of homes, new and resalable flats secured against mortgage of the same property, and project finance for residential buildings to developers. Housing Loan comprises 92.46%, 90.93% and 82.19% of our AUM, i.e. Rs.135,847 lakhs, Rs.164,577 lakhs and Rs.654,689 lakhs, as at March 31, 2016, March 31, 2017, and March 31, 2018, respectively. Our average ticket size and incremental ticket size for Housing Loans portfolio is ` 8.22 Lakhs and ` 8.99 lakhs, respectively, with an average tenure of loans being, approximately 16 years. (iii) The Company also provide Other Property Loans including a loan against property (“LAP”) to salaried or self-employed professionally qualified individuals and others, against mortgage of property of the borrower and insurance component of Housing Loans. Non-Housing Loans comprise 7.54%, 9.07% and 17.81% of our AUM, i.e. 11,073 lakhs, 16,422 lakhs and 141,896 lakhs, as at March 31, 2016, March 31, 2017 and March 31, 2018, respectively. (iv) The Company has a robust marketing and distribution network, with a presence across 272 branches across 20 states and union territories, comprising of 160 main branches, two small branches, 62 micro branches, 48 ultra-micro branches, one Corporate office, and one registered office, as of March 31, 2018. (v) Recent Interaction with Management by ET. (vi) The Aadhar Housing Finance NCD will list on Exchanges w.e.f 04 Oct 2018 in the list of “F” group. Objective of Aadhar Housing Finance Limited NCD are: 1. For the purpose of onward lending, financing, and for repayment/ prepayment of interest and principal of existing borrowings of the Company. 2. General corporate purposes. Issue Size: ₹ 500 Cr. Promoters of Aadhar Housing Finance Limited NCD Company are: (i) The Promoter is Wadhawan Global Capital Limited (“WGCL”). WGCL is a ‘systemically important non-deposit taking core investment company’ (CIC-ND-SI) registered with the RBI under Section 45-IA of the RBI Act. As on date of this Draft Shelf Prospectus, WGCL holds 17,597,715 Equity Shares in the Company aggregating 69.98% of our paid-up capital. (ii) WGCL serves various financial needs of consumers through investments in businesses involved in lending, investments, protection and strategic investments. WGCL’s subsidiaries and associated entities have leadership presence across services from housing loans, education loans, mutual funds and asset management to life & general insurance. The NCDs proposed to be issued under this Issue have been rated ‘CARE AA+ (SO) (Pronounced as CARE Double-A Plus Structured Obligation) and BWR AA+ (SO)’ (Pronounced as BWR Double A Plus (Structured Obligation)). (i) Care Ratings: Stable for an amount of Rs.3,00,000 lakhs, by CARE Ratings Limited (“CARE”) vide their letter dated July 6, 2018, and reaffirmed vide their letter dated August 23, 2018. (ii) Brickwork Ratings: Stable for an amount of Rs.3,00,000 lakhs, by Brickwork Ratings India Private Limited (“Brickwork”) vide their letter dated July 6, 2018 and validated vide their letter dated August 23, 2018. (iii) Conclusion: Stable by Care and Brickwork indicate that instruments with this rating are considered to have a high degree of safety regarding timely servicing of financial obligations. Such instruments carry very low credit risk. What Could be the Merge Entity Called? How will it Structured? The new, merged company is called Aadhar Housing FinanceLimited (Aadhar). Majority of shares are held by WGC (Wadhawan Global Capital) with equity participation from DHFL (Dewan Housing Finance Ltd.) and IFC (International Finance Corporation). Why merger would be a win-win situation for both the companies? DHFL Vysya Housing Finance and Aadhar Housing Finance are subsidiaries of WGC(Wadhawan Global Capital). Both, Aadhar and DHFL Vysya provide housing loans to LIG(Low Income Groups) but in mutually exclusive locations. While Aadhar is a well-established financial services brand in North, West and East India, DHFL Vysya has a strong foothold in South India. The merger will result in the creation of a stronger brand with a pan-India presence. The new entity would be able to create better products and services for their customers. This will result in economies of scale, uniform acquisition structure, common policies, strong business growth and cost reduction. The weighted average borrowing cost as of March 31, 2018, was 8.77% which is reduced from 9.15% as of 31st March 2017. As of March 31, 2018, the Company’s sources of funding were primarily from banks and financial institutions 68.38%. followed by non-convertible debentures 16.21%, Public deposits 1.29%, commercial papers 5.07%, NHB refinance 7.33% and Subordinate debt 1.33%. The Company continues to gradually reduce its reliance on the borrowings from banks and financial institutions and focus on capital market instruments with lower funding costs. (i) 138 Branches added and 6 States added. (ii) 262% increase in interest income of housing loans. (iii) 56% increase in profit after tax. (iv) 58% increase in AUM, from Rs. 4,991 Crores in FY 2016-17 to Rs. 7,966 Crores in FY 2017-18. (i) Incorporated in 2010 with an authorized capital of Rs. 100 Crores, promoted by DHFL with equity participation of 20% from IFC, (an arm of the World Bank in India). (ii) 1st branch established in Lucknow on 26th January 2011. (iii) Crossed milestone of 1,000 Home Loan Disbursements on 11th February 2012. (iv) Reaches 100 branches milestone on 22nd June 2016. (v) Crosses Rs. 2,000 Crores of Loan Book on 30th June 2016. 2) 3905 Cr of disbursement in FY17-18 and increase of 67% on a comparable basis. 3) 0.58% of Gross NPA. 4) 8.2 Lakh is the average ticket size of the home loan. 5) 60% financing in semi-urban and small towns.